Griffin’s is Clifden’s oldest continuously family-owned pub, and it is said that we serve the finest pint of Guinness in town! Our food is all homemade, and our friendly staff welcome locals and visitors alike. 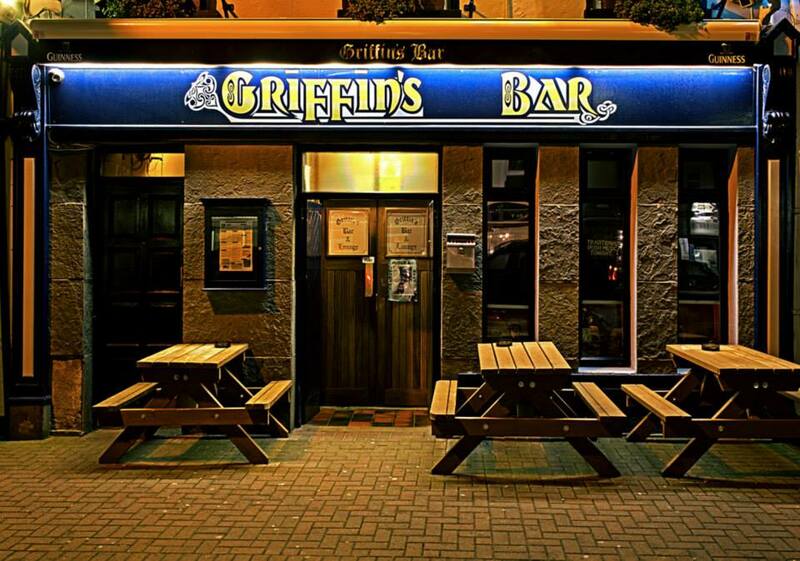 And when it comes to evening entertainment Griffin’s is where the music is great, from traditional Irish to Country to straight-ahead Rock – and the craic is always mighty! A must for every visitor to Clifden and Connemara!